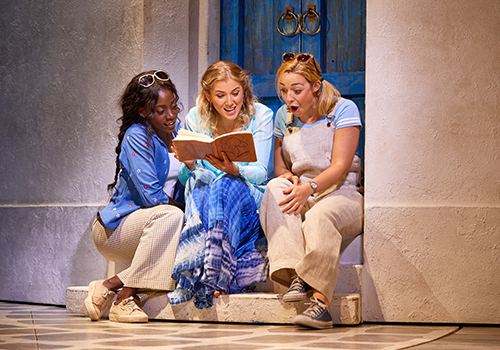 18 September 2017 - "evokes nostalgia for many an audience member"
Mamma Mia! is the West End's mother of all jukebox musicals, and my my, how can you resist it? Impressing audiences since 1999, Mamma Mia! has earned an Olivier Award and has also been made into a successful film, starring Meryl Streep and Pierce Brosnan. 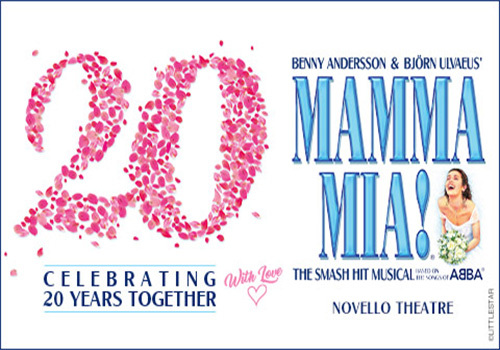 Featuring hit after hit from ABBA members Benny Andersson and Björn Ulvaeus, Mamma Mia! is London's most successful jukebox musical, with a powerful storyline peppered with great songs. 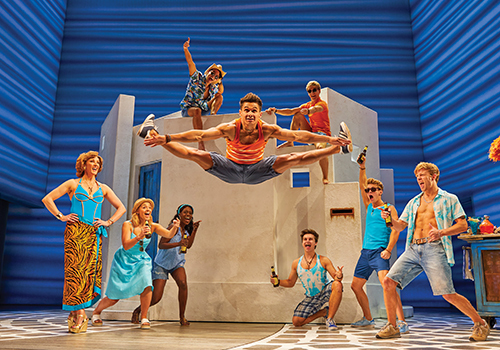 Set in the 90's on a paradise Greek island, Mamma Mia! is a heart-warming tale of a close mother and daughter who are both on bumpy paths to true love. As young Sophie prepares to marry island stud Sky, she wishes that her father would be able to walk her down the aisle. Unfortunately, Sophie is not quite sure who her father is, but soon pinpoints three possible paternal figures after examining her mother's old diaries! In order to discover who her father really is, Sophie invites all three men to her wedding - without Donna even knowing! Soon, Donna's best girlfriends arrive on the island - just in time as Donna faces the ghosts of lovers past! 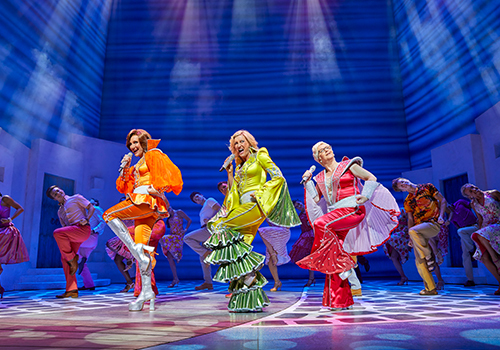 Directed by Phyllida Lloyd and choreographed by Anthony Van Laast, Mamma Mia! features smash-hit music from Benny Andersson and Björn Ulvaeus. Popular songs in the show include "Honey, Honey", "Dancing Queen", "Money, Money, Money", "Does Your Mother Know", "Voulez-Vous", "SOS" and many, many more that will have you dancing in your seat! Written by British playwright Catherine Johnson, the musical ensures that the songs are perfectly placed to fit in with the hilarious storyline. Mamma Mia! 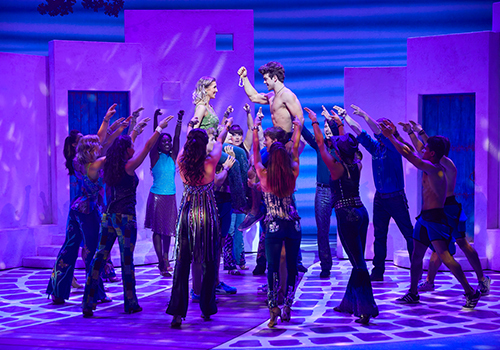 is quickly becoming one of London's longest-running musicals, entertaining sell-out audiences night after night. Earning rave reviews from audiences and critics alike, this show is the perfect night out for ABBA lovers, who will be able to sing and dance to their heart's content! Don't miss out on the West End's best jukebox treat! Mamma Mia! is entirely fun and family-friendly and is perfectly suited to ABBA lovers. The musical is advised for those aged 5 and up, although parents should be aware that there are some sexual references throughout the show, but these are not deemed to be explicit. Under 4's will not be admitted. Click here for the Novello Theatre seating chart and seat price guide.